Avido today launched the award-winning WiBa dual-charging wireless power system. Place the power bank on the charging pad to charge it wirelessly, then set your phone on top of the power bank and watch as both charge simultaneously. When on the go, take the power bank to wirelessly charge your smartphone, simply by placing the phone on top of the power bank - no cables needed. 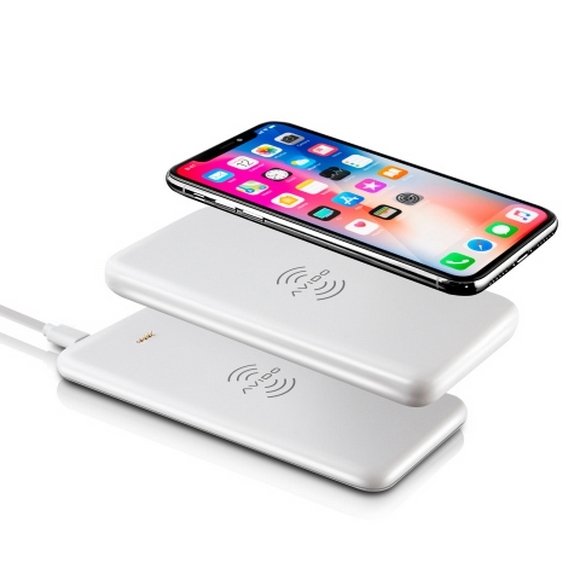 The charging pad and power bank both rapidly power all Qi-compatible devices, including the iPhone X, iPhone 8, iPhone 8 Plus, Samsung Note 8, and Galaxy S8. WiBa can charge your smartphone up to 2 times. Built-in LED status lights make it easy to see the remaining power level. The charging pad can also directly charge any Qi-compatible device while at home or on the go. WiBa wireless charging system will be demonstrated from January 9-12, 2018, at the Consumer Electronics Show, Booth #32012, South Hall 3, Las Vegas Convention Center. WiBa retails for $99.95 and is expected to ship February 2018.